GlobeCore Cooperation With the US Power Industry - GlobeCore Bitumen Emulsion. GlobeCore strives to participate in all possible projects to replace traditional energy sources with alternatives. Some of the services GlobeCore offers our clients is the sales of equipment to process electrical insulation oil and servicing power transformers, as well as rentals of this equipment. It was the latter option that was chosen by one of American electric power companies to service the transformers of their wind farms in Virginia. GlobeCore was contracted to rent two CMM-4/7 units. The product is designed to degas, dehydrate, filter and heat the oil for 1150 kV transformers. 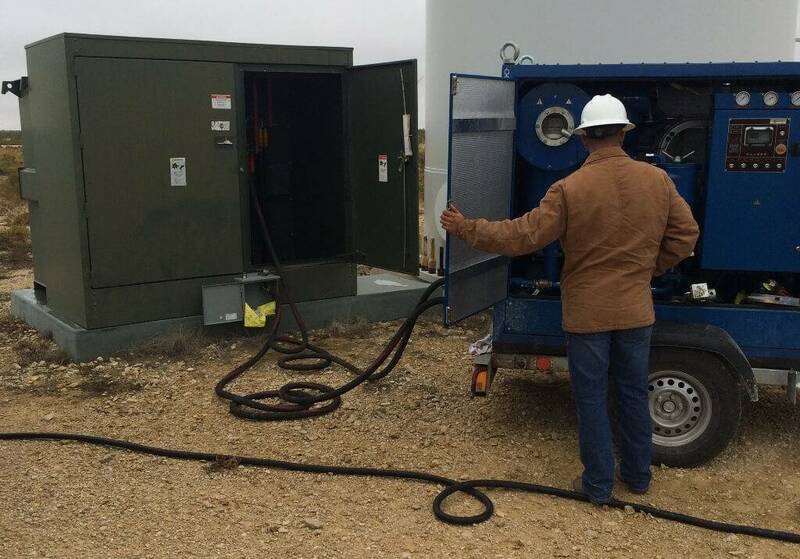 GlobeCore products extend the lifetime of wind farm transformers and improve reliability of alternative power generation.